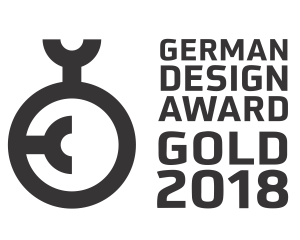 Much sought after for the designs and skill involved, the Gultarash or embossed effect requires precision and expertise of the highest order where the silk and wool carpets are sent to our finishing centers for a round of hand-snipping, resulting in new and original motifs. The background is cut clean, permitting the motifs to surface as engravings. This involves re-fringing and binding, along with repairing the missing or worn areas by re-knotting or patching. The torn, detached or deteriorated backing can also be repaired in this process. This solution is a fix for making the rug new after moth, mildew or water. It’s also perfect if you want the rug's size and/or shape to fit different specifications. To retain the luster and beauty of your rug, it must be deep-cleaned every 12 to 18 months; depending upon the life-style of the household, frequency of vacuuming, and whether the carpet is light or dark in color. Not only do clean rugs look better, but they also last longer. By selectively burning the wool by using chemicals, the silk gets a special highlight, giving your rug an enhanced look. 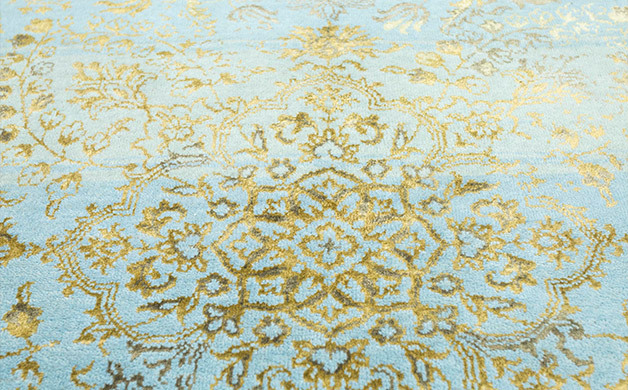 This process gives a golden or a silver look to your rug. High-knot count carpet with classic, traditional patterns get a modern look through the latest dyeing and finishing techniques. An heirloom of generations can now be renewed through our custom coloring and over-dyeing processes, bringing in freshness and color with every application. Rugs are dry cleaned without washing and with the help of expert machinery and extra caution; so that the original dye remains intact. This process gives your rug a special shine, without disturbing the colors of the rug. A rug defines the appearance of a space. However, over a period of time, factors like dust, stains and normal wear and tear change the look and feel of the rug. 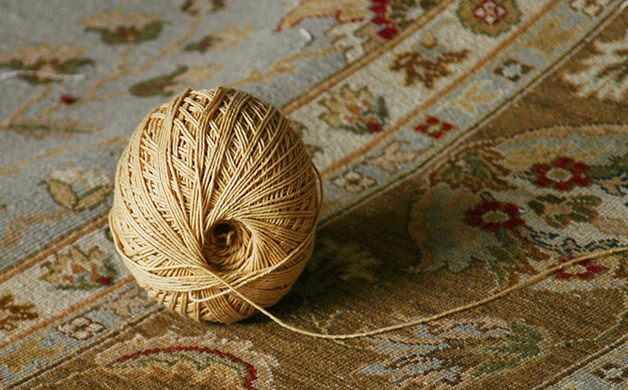 To maintain the condition of your rug, it is hence important to seek for professional help at regular intervals. 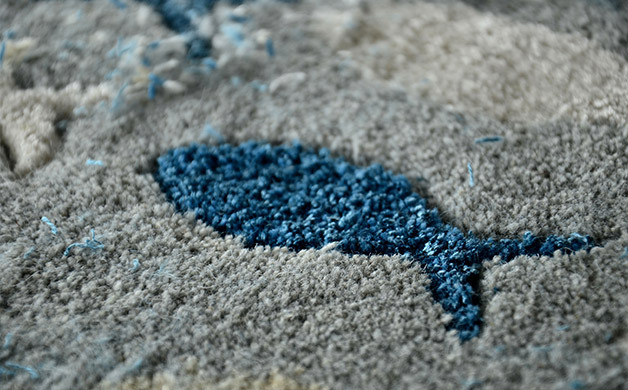 It is important to remember that the less damaged the rug is, the easier it is to restore and the less costly the repair. Jaipur Rugs is happy to help you with repair and maintenance services on any handmade rug, even ones purchased from other brands. 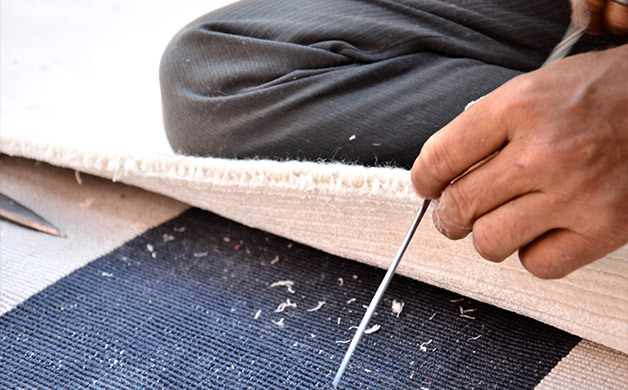 With 40 years of experience in crafting handmade rugs, we have experts who can work meticulously on your rug and breathe fresh life back into it. 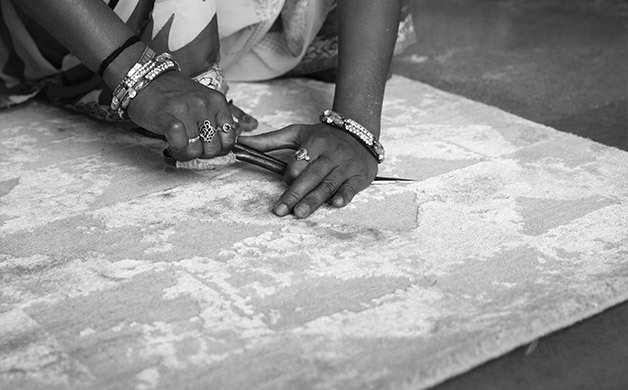 Our professional staff has the know-how to repair even the finest wool & silk hand-knotted rugs. Visit us at our stores in Delhi and Jaipur, and let our rug-experts work some magic to renew your carpet.